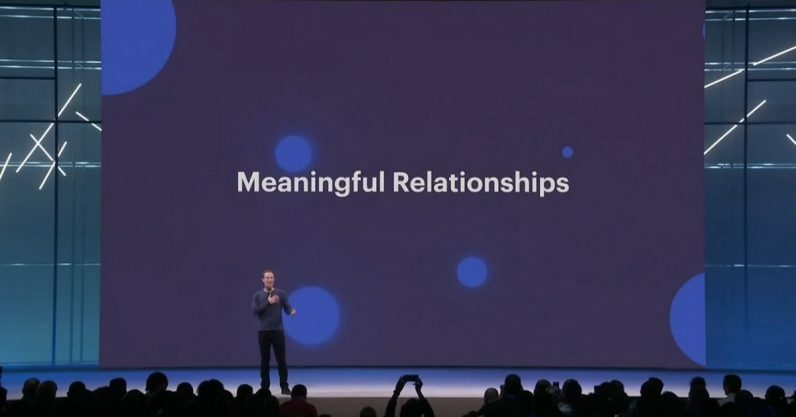 In one of the highlights of today’s F8 conference, Facebook announced it was entering the online dating space with new features. These new features, built into Facebook’s existing app, would use information from your profile to match you with potential paramours based on mutual interests and friends. Zuckerberg said your dating profile will be separate from your main Facebook profile, and that your friends can’t see it. In fact, you’ll only be suggested people who aren’t already your friends. Further looks at the features revealed users could meet up by adding events they were attending to their dating profile, and seeing other singles who had done the same. The messaging service they would use to connect is built into the dating profile, separate from Messenger, and text-only. Wife: Facebook isn't for people you want to date. Wife: People you want to monitor from a safe distance. If I had my choice of apps to use to find a date, Facebook probably wouldn’t be one of them. For all its claims to being a vast network of social connections, it’s not exactly the place where I present the most attractive side of myself. These features feel more like something that’s bolted to core Facebook than a service that can stand on its own. To put it simply, Facebook is for visiting with my friends, posting pictures of my dog, catching up on the latest gaming news. I go there to watch videos about animals, or talk about work, or correct my friends when they misquote Shakespeare. None of it is how I’d choose to show myself to a person I just met and might be interested in — not at first, anyway. If I had my druthers, I’d rather use an app designed with the goal of curating your dating experience from the ground up, not just pulling paramours going to the same Facebook events. We’re surprised at the timing given the amount of personal and sensitive data that comes with this territory. Regardless, we’re going to continue to delight our users through product innovation and relentless focus on relationship success. Need some ice for that burn, Facebook?